Midoriya passes the U.A. entrance exam, as expected, but it took the entire episode for these events to transpire. Not that I’m complaining, but it’s clear that the pacing makes for a double-cour show, hopefully with the intention of remaining faithful to the original manga. The setup of the examination was generally shounen staple — there’s an underlying rubric besides the clearly stated rules that measures the “true” worth of a hero — and clearly, these are the core values that are exemplified by Midoriya. But what’s remarkable is Midoriya’s sense of dedication despite his own insecurities — continuing to do grip exercises and waiting in pained expressions for the inevitable outcomes of the examination. This show continues to home in on the unmeasurable variables of heroism that cannot be expressed by sheer numbers — a heroism born out of a decision to act outside of one’s own relative safety, even at the expense of bodily harm. Midoriya is a hero — we all know it. And his path to becoming the hero he envisions himself to be has truly been a spectacle worthy to behold. 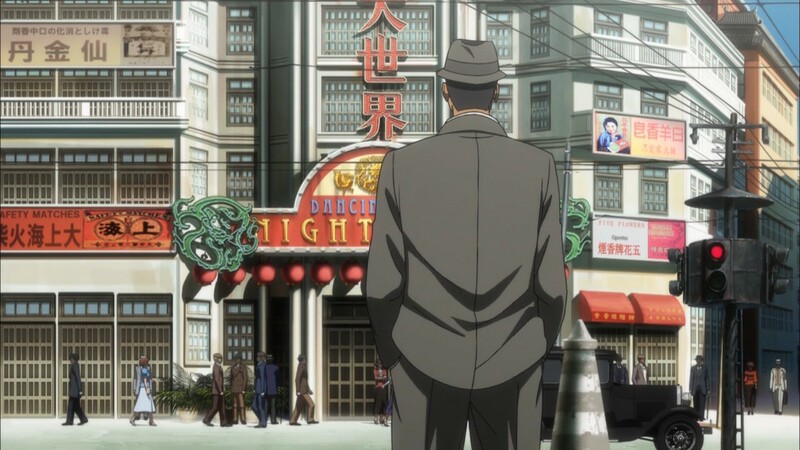 Despite worries about the show entering a redundant pattern of spy-of-the-week vignettes, Joker Game‘s fourth episode shows us that the show possesses a dynamic narrative style, which allowed its newly presented character Sergent Honma to take center stage as this episode’s ostensible protagonist. Honma’s is assigned to crack down on a potential mole within the Japanese Military Police stationed in Shanghai, which somehow mirrors Sakuma’s reluctant placement as liaison for the Japanese Imperial Army within the D-Agency at the start of the show. But Honma is apparently far more green-thumbed than Sakuma, and with the help of a low-profile D-Agency spy, he discovers the corrupt practices of the people within his station. Upon realizing the scandals buried beneath fabricated arson and other coverup tactics, Honma confronts his commanding officer — the true suspect — in hopes that he would see the wrong of his ways, only to find his efforts dashed when a jaded lower-ranking officer summarily executes the said commanding officer, who apparently caused the death of his own lover. There is no hope for salvation or justice in the corrupt landscape of the Japanese Military Police here — a strong statement that mirrors the political injustices of a present day government politic where people are often the bystanders or collateral damage to a deeper, darker agenda. Honma plays the role of a survivor whose morals have yet to be sullied by the corruptive forces of military governance, but whose clothes have been tainted nonetheless by the blood of his own countrymen. In the last scene, he stands outside a casino, as if reminiscing on events that have transpired — or perhaps contemplating on entering and enjoying the escapist comforts that it promises. 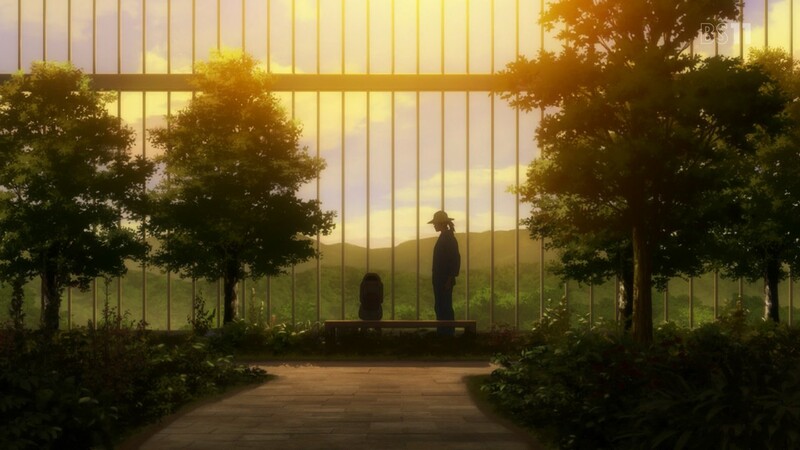 Through this lovely visual metaphor, Joker Game succeeds in delivering its earnest message of hope, quite like Sakuma beneath the cherry blossom trees in episode 2, with the echoing train “I reuse to be a pawn”. This week’s episode was indeed much stronger than the last, and it’ll take quite a lot for the show to surpass this week’s triumph. 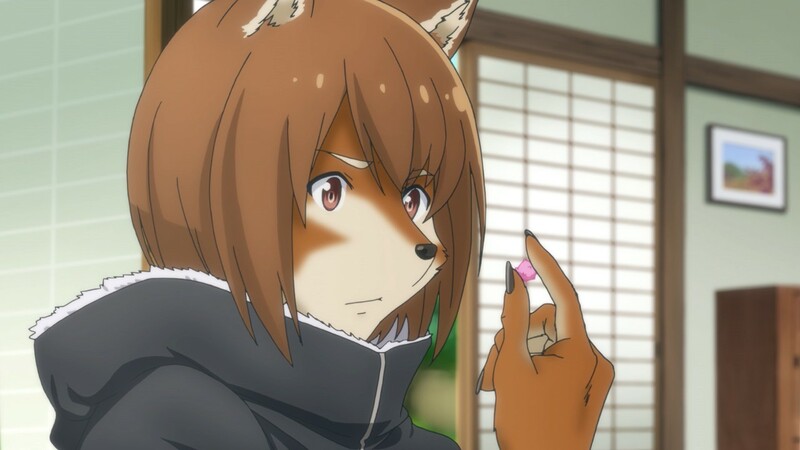 This week’s Flying Witch had a more magic-centric tone throughout much of the episode with the introduction of Inukai – a witch-turned half-dog after she ate enchanted chocolates made by Makoto’s sister during a drinking spree. But the magical elements of the show are, again, subdued in favor of immersing the viewer in the seemingly “magical mundane”. In fact, many scenes where one would be obviously “surprised”, such as when Chinatsu’s mother first met Inukai, were often treated as mundane and practically normal. But when compared to the casual moments of strolling through the spring festival, these moments of bonding appeared endearing, full of fun moments that have their own sort of “magical appeal” to them. But what I liked very much was how the episode did much to conceal Inukai’s face until the very end. After transforming back to her human self, people comment on her beauty, and as she bids them farewell, we get to see a short shot of her face and realize — indeed, she is beautiful. It’s a very subtle touch, but these small efforts at enhancing the “mundane” can make even a simple character like Inukai appear magically beautiful — if not for her physical appearance, but more for the mystery initially ascribed to her looks as well as her warm dynamic with the friends she only just met. Understating the magical aspect of the show, apparently, works in the entire benefit of the show, raising the mundane qualities of suburban life in a way that isn’t too different from magic itself, when you think about it. This show thus far has remained strong in those aspects, and shows no signs of slowing down on that regard. Another week, another compelling episode of Concrete Revolutio. If last week talked about the effects of modernization and national progress on nature, this episode focused on its effects on the minority. I feel I’m often inadequate at explaining the political ramifications of shows like Concrete Revolutio, but the simplicity of Devilo’s message at the end pretty much summed everything up. That in spite of differences, humans have the capacity to appreciate the beauty in something other than themselves — the same goes for people of difference creeds, races, or ideologies. What’s interesting now is how the Imperial army has finally made its appearance, and how now things seem to be heating up between them and the Superhuman bureau. Will this three-way clash of philosophies finally make headway come the next few episodes? 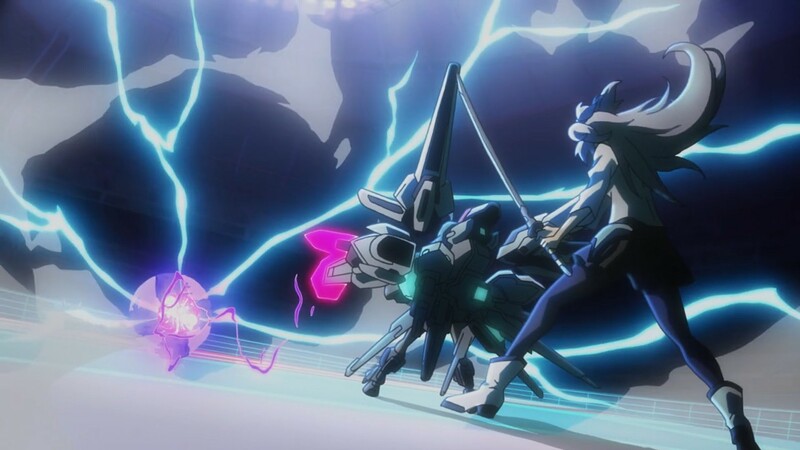 Things are finally starting to get exciting with the first half of episode 17 dedicated entirely to Saya and Kirin’s match against the Allekant puppet-duo AR-D and RM-C. I guess when A-1 Pictures wants to, it can really give us a stunning animation spectacle. The CG sprites were a little noticeable, but the fluid animation definitely made up for it with nice action set pieces and a good serving of mid-fight tension with the combining of AR-D and RM-C. It’s obvious that the girls were going to lose (Ayato fights Allekant in the opening credits), but it’s the after battle pep talk that really brings home my point regarding this show’s strength in its characters. The revelation of Flora’s kidnapping and the demands of having Ayato seal his Ser=Versta leave Julis in a helpless state, but even her tsundere-fueled pride doesn’t hinder her from allowing herself to trust in her friends. And their show of support is truly endearing — a well-earned sense of camaraderie that was built over the past season of character development. I honestly thought this show would have just been another battle show, but its strength in character dynamics is actually very impressive. And finally, the plot variables are starting to move along with the tension finally starting to show some weight. I’m actually enjoying the direction that this season is taking us — it is far more propulsive and cashes in heavily on the invested character interactions that have lead it to this point. The show took a welcome break from the break-neck tension of its past two episodes and took a little time out to examine the history of Ikoma. It was pretty much what you’d expect, but I somewhat appreciated the toned-down Ikoma when he was being a little more subdued in the presence of a menacing Mumei. 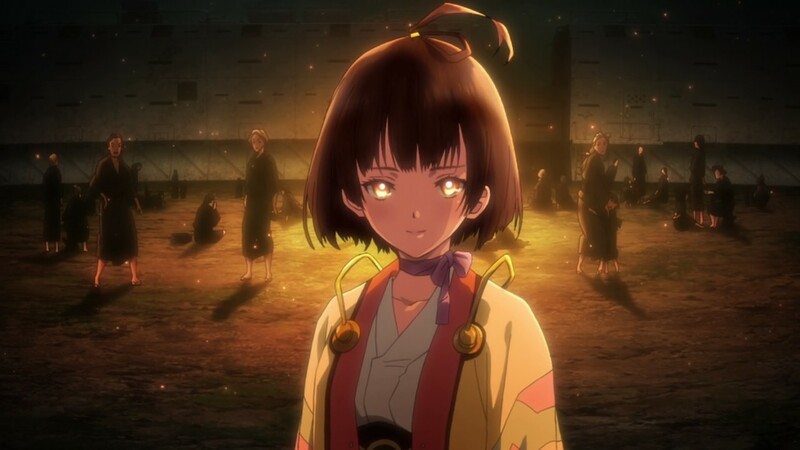 In fact, Mumei is turning out to be the more enigmatic of the bunch, almost intentionally tight-lipped about the truth behind the Kabane when in fact her very knowledge about the subject could possibly save everyone from a bloody death. This and the fact that it’s obvious that the Kabaneri have some sort of compensation for their powers — human blood. Mumei’s insistence on not disclosing any details simply breeds animosity for both her and Ikoma, as the group of survivors is now faced with the dilemma of believing them or not. In fact, the whole back-and-forth of “we can’t trust you” bordered incessant, but hey, what’s a Araki show without a little bit of screaming? Overall, the conflicts don’t seem all that different from AoT, and it’ll be a while before Kabaneri decides to differentiate itself in that regard. Regardless, it’s still a very engaging show. The tension finally ratchets up with the revelation of who the attackers from the first episode are — the Windemerans. Well, it wasn’t really all that hard to deduce, but the sabotage on the concert and the overall shock on Frejya’s face when the declaration of war was announced just got me thinking — man, now we’re in for something BIG! Indeed, something “big” is always that feeling I get when I watch this show. There’s a theatrical grandiosity to its production that makes it feel like the beginning of an epic space battle. All the elements are there, so it’s just a matter of watching that spectacle unfold. On the character side, Hayate and Frejya just have such a nice dynamic going on between them. It’s nothing really romantic, really — just a nice bouncing off of one another that makes them so endearing as a couple. You’d be hard pressed to believe that they only just met not too many days ago. So yeah, this show is still on just so many levels of awesome. And yeah, dig that quadri-styled dress Freyja’s sporting – yeow! The kids are finally assembled and find themselves on a summer training camp to deepen their bonds with one another. Not much was achieved in this episode, but the show continued to give us a good sense of their personalities by creating interesting pairs for one or the other to bounce off of. Sonozaki and Katsuhira are obviously past acquaintances, and it appears as if some event in the past had robbed them (as well as other children) of their ability to perceive pain. How this links the two of them has yet to be seen, but Katsuhira’s active efforts to get to know Sonozaki gets the ire of Chidori, who ends up reluctantly turning to Tenga. Even Yuta and Honoka have a nice little spat that adds to their own twisted personalities. It’s nice to see such un-restrained dialogue grind against one another given their circumstances. As much as either of them hate to admit it, they are being drawn closer to one another, either affirming their own misgivings towards the other or drawing out new revelations that simply harden their own beliefs regarding the whole setup. And that setup is somewhat partially revealed by Sonozaki with regard to the purpose of the entire city as some sort of experiment. At this point, it’s still speculation as to what is really going on. Whatever it is, I’m pretty much enjoying the dynamic that these kids have going on, regardless of how ridiculous I think the underlying plot of this story will turn out to be. 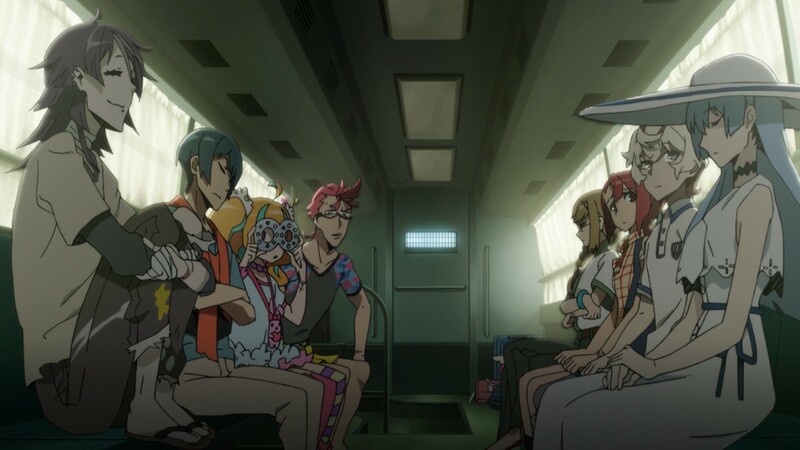 Just as I feared, Kuromukuro spent much of its first half and a bit of the second half of this week’s episode focusing on more of Kennosuke’s anachronistic silliness as he basically crashed in at Yukina’s place. Much of the jokes were only marginally funny, with a big chunk of them coming off as extended jokes like the fundoshi gag. But the first half did have some indirect references to Kennosuke’s past, including the fact that he’s from the Sengoku era. Thankfully, the show got back on track in the last part of the second half where Yukina presents Kennosuke with her father’s notes on the “demons”. Kennosuke as a samurai is pretty much self-explanatory without the excessive need to show how he reacts to a television show re-enacting a Sengoku period drama, or his reaction to excessive chili powder on curry. Not only are these jokes bland an expected, they simply don’t add to the character dynamic that matters most — the relationship between Yukina and Kennosuke. Heck, we still don’t know why Yukina is able to pilot the Kuromukuro together with Kennosuke in the first place apart from the fact that Yukina just so happens to look like his “princess”. If this show seriously wants to be compelling as a mecha show, it needs to get over with the slice-of-life elements that tend to detract from the main point. So far, this week has been a slow and dull progression for Kuromukuro. 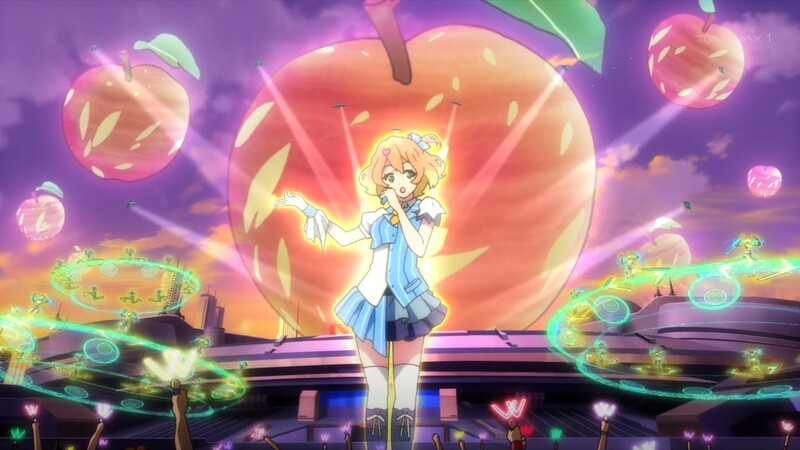 I really hope things start to pick up sooner or later, or else this show will fall deep into the shadow of the more propulsive Macross Delta. As usual, I’m closing this week in review with my least appreciated show, Re:Zero. This episode was basically Subaru from start to finish — essentially everything I hate about this show condensed into one big, fat meta joke containing all the tropes you could possibly throw at him for his never-ending commentary to each and every one of them. I think anyone who enjoys his commentaries is the kind of person who likes to complain about “why the protagonist never gets hit be gunfire”, or “why the archer can miraculously get the last arrow to hit the Dragon’s heart when every last shot had failed”. It’s basically the anti-thesis of dramatic storytelling — the sort of self-aware quips that make Subaru inherently ridiculous given he’s the very character he’s referencing himself to. And each egotistical reference is often affirmed indirectly, or at the very least met with deadpan acceptance, by anyone or anything that interacts with him. Introducing twin maids, a loli tsundere, and an androgynous man-of-the-house just meant more fodder for Subaru to unleash his masterful otaku skillz on, and the result is self-praising laughs (when he gets it right) and self-depracating sarcasm (when he’s totally off the mark). 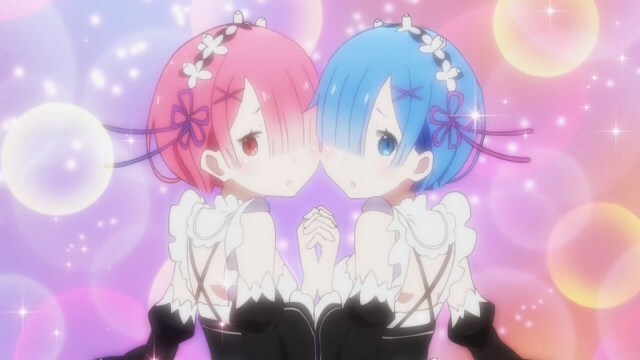 It’s a predictable droll narrative that only gets interesting when Subaru actually starts to develop a reasonably pleasing relationship with Emilia (although she’s still a pretty flat character, to be honest), only for it to be “reset” come the end of the episode with that “twist” of a time-loop. I don’t know what this has to say about all efforts of characterization, but it pretty much leaves everything to naught. I honestly want to know what the point of all of this “resetting” is for, but I’ll have to deal with Subaru every friggin’ episode in order to figure that out. I don’t know if I’m willing to endure such drivel for the sake of that reveal, but some of my friends keep egging me to just “wait for it”. Sigh. Fine, let’s see. So I decided to stop commenting on Mayoiga, because it’s quite obviously a silly show. I’ll continue watching it for the sake of giggles (because these characters are, honestly, so ridiculous they’re actually fun to watch), but I can’t find it in me to comment about a thriller show that is apparently making me laugh more than, well, getting me scared. I’m probably not enjoying it the way it should be enjoyed, apparently, so I’ll just leave it at that. Lastly, because of the weird release schedule and the timing of this post, I noticed that The Asterisk Wars is one episode ahead of all of the shows listed here. I just didn’t want to re-comment on the previous episode since I already did so in my review for it. Nevertheless, I’ll continue to include The Asterisk Wars in my further week in reviews, so until next week!